The Paul Smith’s College men’s basketball team will face off against SUNY Canton at the Barclays Center in Brooklyn, N.Y., home of the NBA’s Brooklyn Nets, this Dec. 14. Bobcats head coach Dominique Boone explained that he’s been a close friend of Ben Thompson, SUNY Canton head coach, who made the connection to Barclays and approached Paul Smith’s to play. “We jumped at the opportunity,” said Boone. Playing at an NBA arena will be a unique experience for the players, including Sterling Scott, a sophomore guard who’s from Brooklyn. Donovan Miller, a senior forward and the college’s student government president, echoed the sentiment. The non-league game will be the second time the two teams will have faced off this season. On Nov. 13, Paul Smith’s College led SUNY Canton on its home court until the final three minutes, falling 84-78. SUNY Canton is a NCAA DIII program and was picked for a top-three finish in the Northern Atlantic Conference. 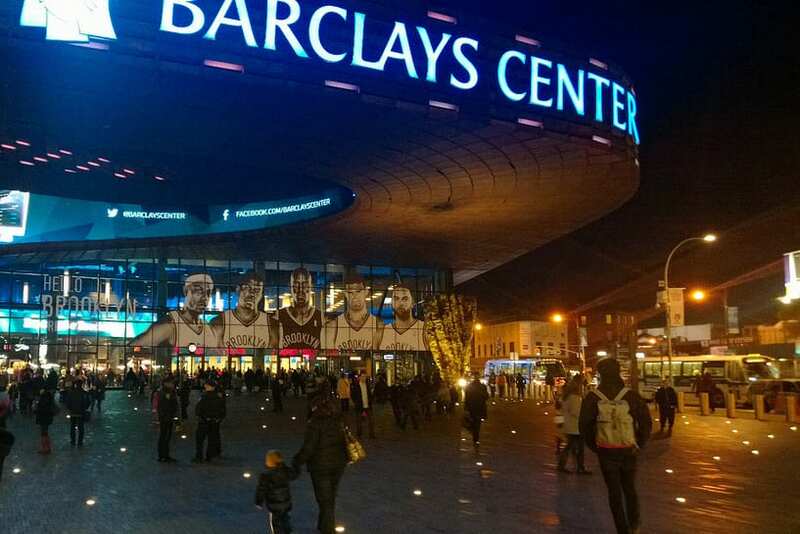 “We look forward to having another great game at Barclays,” Boone said.